Why did the Reformation happen? This is not a simple question to answer. Of course we could simply state that it happened because God wanted it to happen, and that would be true but it wouldn’t necessarily tell us a whole lot about the historical events themselves. There are layers of explanation that need to be wrestled with for us to truly appreciate and understand the context, origin, and significance of the Reformation. For many years there has been a popular interpretation of the Protestant Reformation that suggests that it happened because the soil was ripe for planting seeds of dissension and doubt. The Roman Catholic Church was entirely corrupt and the masses of people were fed up with it. So, when Luther came on the scene and began to ask questions he lit a powder keg that was just waiting to blow. It’s a nice story, with lots of drama and passion. It’s also not very accurate. The truth is far more complex. Lindberg’s point should be well received by anyone interested in studying this fascinating period of history. The Reformations of the sixteenth century are far more complex than traditional interpretations have permitted. We must acknowledge, then, both the diversity of reform efforts and viewpoints, and the intermingling of influences on these reforms – whether theological, political, economic, or social. People were not ready to throw off the shackles of Rome with regard to their religious practice and belief. And with regard to reform itself, there were already efforts and movements afoot to cultivate change at some level. So, throughout the fourteenth century monastic orders were reforming themselves, as did the Papacy itself. Dante had included former Popes Nicholas III and Boniface VIII in the eight circle of hell in his Divine Comedy, and few could hardly disagree. But, as Reeves points out, “wanting better popes is something very different from wanting no popes; wanting better priests and masses very different to wanting no separate priesthood and no masses” (25). There is a complexity here that must be taken into consideration. Furthermore, the landscape of Europe is as diverse as its people. So, what individuals in the North believed varied somewhat in emphasis and significance from those in the South. So, for example, Luther’s attack against the entire “purgatory industry” was much more controversial and earth shattering in the North, where people were more “purgatory-centered” in their faith, than it was in the South, where people had not paid much attention to such doctrine. We can rightly wrestle with these kinds of differences and consider, for example, the ways in which reform efforts in Germany were so different from those in a place like Italy. The big idea to begin to wrestle with as one seeks to study the Reformation, is that such movements are complex. A robust historical understanding pays attention to the layers of interpretive keys. We must deal with theological, social, political, economic, even regional concerns as we seek to understand they “why” and “how” of the various reformations on the sixteenth century. 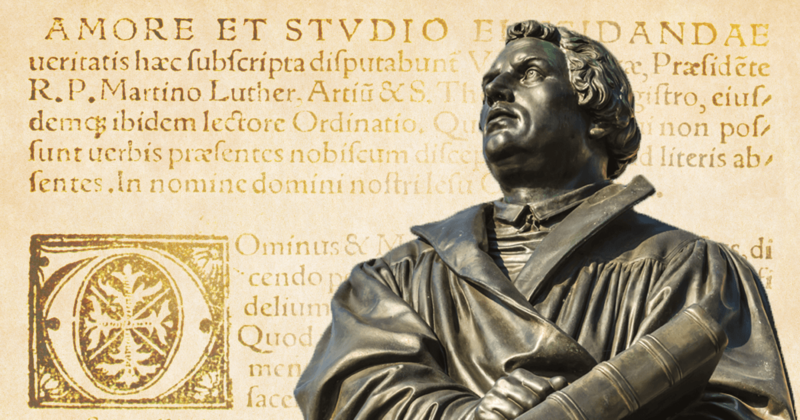 Such robust history certainly requires more effort in study, and can often feel less glamorous and dramatic than the lenses we have previously used in church history to explain the reformation. Yet, such roust history serves us better in the long run. We are able to truly evaluate and appreciate what has transpired. The complexity allows us to better understand some of the internal debates and challenges of the reformations. This complexity also allows us to appreciate just how amazing God’s grace is. He accomplished great things through quite diverse means and in the midst of quite messy and complicated settings. As we prepare to explore a number of interpretive keys over the next few weeks, it behooves us to start with this reminder that the Reformation is diverse and complex. We speak more of “reformations” than simply one reform movement. We speak of varying means and efforts at reform. And we are speaking of varying depths of receptivity to these reform efforts across an entire European landscape. The Reformation has layers of explanation that require attention to fully understand appreciate what took place.